Hospital officials say they've seen an improvement in a man poisoned in a nerve agent attack in southwestern England, as his late female companion was mourned Tuesday in a statement released by her family. Hospital officials say they've seen an improvement in a man poisoned in a nerve agent attack in southwestern England, as his female companion was mourned Tuesday in a statement released by her family. Police are investigating the poisonings of Charlie Rowley and Dawn Sturgess, who has died as a result. They say the pair was exposed to Novichok, a military-grade nerve agent produced in the Soviet Union during the Cold War. Salisbury Hospital, where the Skripals were treated, said Tuesday that Rowley has experienced a "small but significant improvement" and is now conscious. The 45-year old is in critical but stable condition. Sturgess and Rowley were hospitalized on June 30. The family of Sturgess released a statement through the London Metropolitan Police on Tuesday, two days after her death was announced, saying the 44-year-old will be "dreadfully missed." "Dawn will always be remembered by us as a gentle soul who was generous to a fault," the statement read. "She would do anything for anybody, and those who knew Dawn would know that she would gladly give her last penny to somebody in need. "Our thoughts and prayers also go out to Charlie and his family and we wish Charlie a speedy recovery," the family said. The family thanked hospital staff and the police for their response and asked for privacy to grieve Sturgess's death. Her survivors include two sons and a daughter, ranging in age from 11 to 23 according to BBC. Meanwhile, authorities have broadened their investigation, seizing a car in a third community in southwestern England. Wiltshire Police tweeted Monday that the car was being "safely" removed and reminded the public that the risk of contamination with the agent was low. March 4: Sergei Skripal, a former military intelligence officer for Russia who had been living in England after being convicted of selling Russian state secrets, is found slumped on a public bench in the late afternoon in Salisbury, England, as is his daughter Yulia, just arrived via Heathrow Airport in London the previous day from Moscow. March 5-7: The Skripals are publicly identified, and police say they suspect the pair were poisoned after being exposed to a nerve agent. March 11: British authorities conduct a sweep of Salisbury and urge people who visited a specific restaurant and pub on March 4 or March 5 to wash clothes and wipe personal items for what they say would be a minor risk of possible skin exposure. March 12: Theresa May says the pair were poisoned by a military-grade nerve agent of the type developed in Cold War Soviet Union. The Novichok nerve agent blocks a key enzyme that controls communication between nerve cells and reduces oxygen in the body, potentially leading to breathing difficulties and convulsing muscles. Russia strenuously denies any involvement and raises the possibility the substance came from Porton Down, a British government research park not far from Salisbury. March 14: Britain says 23 Russian diplomats who have been identified as undeclared intelligence officers have a week to leave the country. March 22: Det.-Sgt. Nick Bailey, hospitalized after suffering symptoms of poisoning during the investigation, is discharged. March 26: EU countries and others including Canada show solidarity with the U.K. by expelling Russian diplomats. Some 140 Russian officials are censured overall, according to NATO, representing 25 nations. Russia responds with its own banishments of foreign diplomats. March 28: British police say they suspect the primary location of exposure was Sergei Skripal's residence. April 10: Officials say Yulia Skripal, 33, is out of hospital. 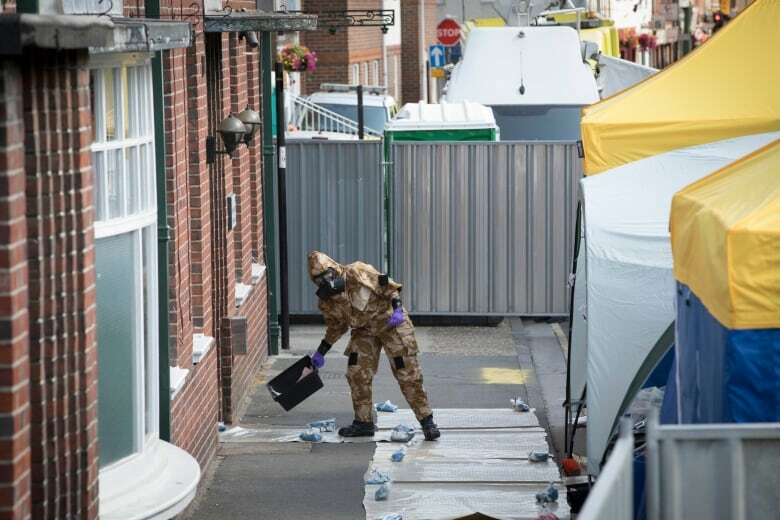 April 12: The Organization for the Prohibition of Chemical Weapons, an international watchdog, confirms the British finding of Novichok, saying it was "of high purity." OPCW, which is not authorized to assign blame, says it could only have been manufactured in a sophisticated, state-run laboratory. The watchdog's report does not say who was responsible for the attack, since that was outside the scope of its mission. The OPCW's job was to identify the poison, not to trace its origins or assign blame. April 17: The Novichok was delivered to the affected areas in Salisbury in liquid form, officials say. May 18: Sergei Skripal, 66, is out of hospital and resting at a confidential location, according to a statement. May 23: Yulia Skripal speaks at an undisclosed location to media outlets, describing an "extremely painful" recovery process and expressing shock over being subjected to a nerve agent. Russian officials continue to complain after the interviews over never having had diplomatic access to Yulia since March. June 30: A man and a woman, each in their 40s, are hospitalized after falling ill at a residence in Amesbury, 13 kilometres from Salisbury. Police initially suspect the pair may have ingested contaminated drugs. July 4: Police declare 'a major incident' as a result of the Amesbury pair's illnesses. Scotland Yard confirms they had been exposed to Novichok. 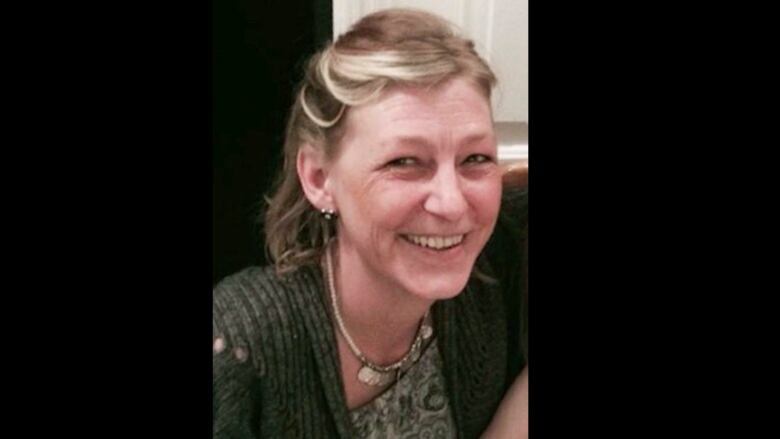 July 8: Dawn Sturgess, the 44-year-old female victim of the Amesbury incident, is declared dead. Survivors include three children. July 9: Authorities believe the Novichok is related to the Skripal poisoning but have yet to make a definitive forensic link. "They must have handled a container" of the liquid agent, an official says, but the container has yet to be located.